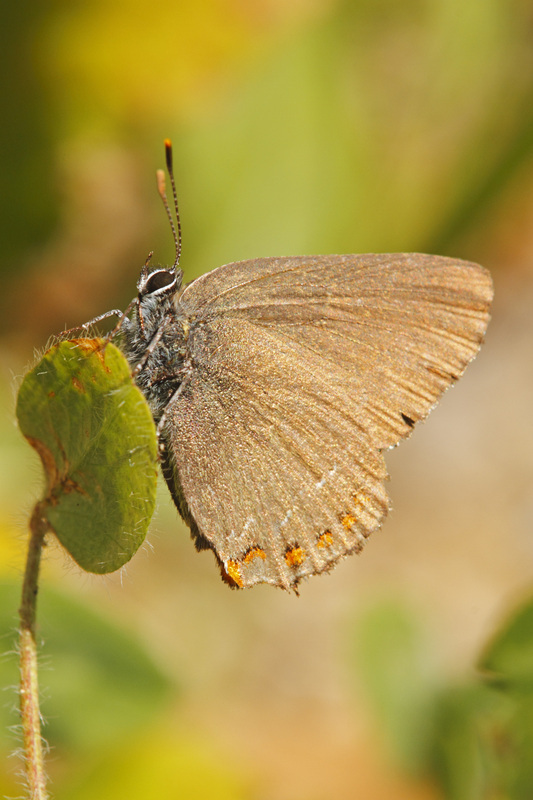 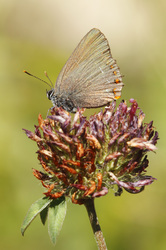 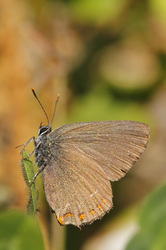 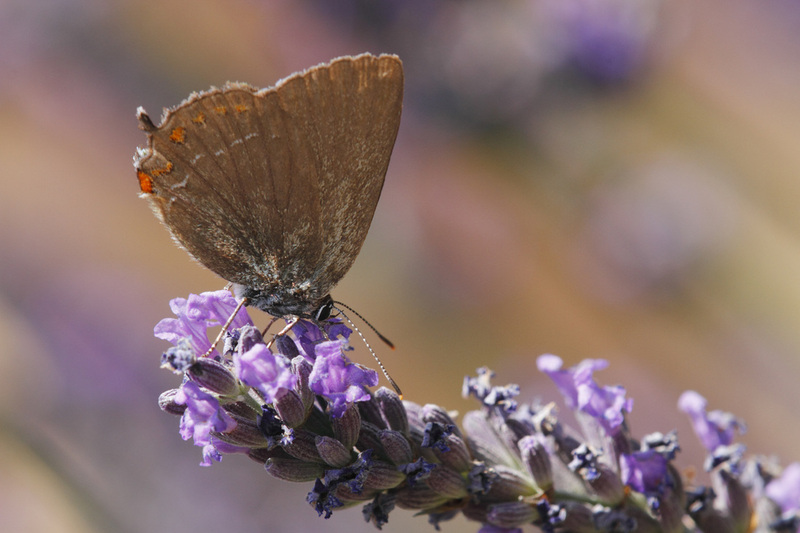 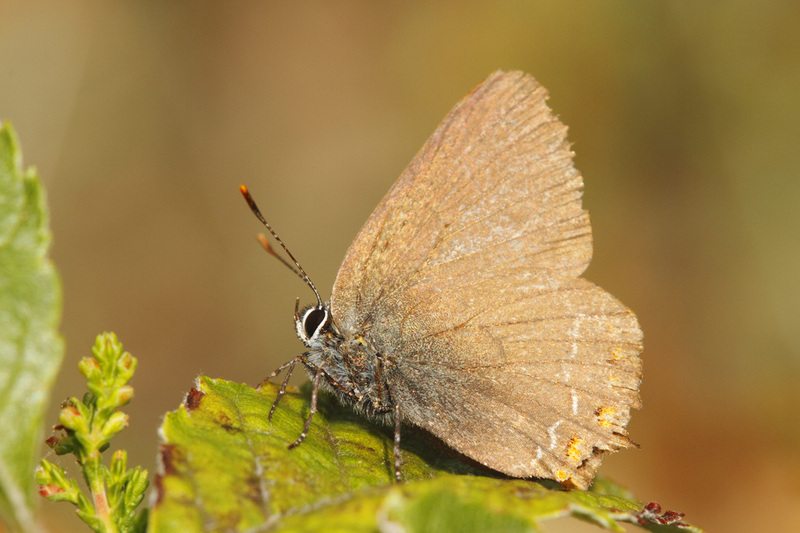 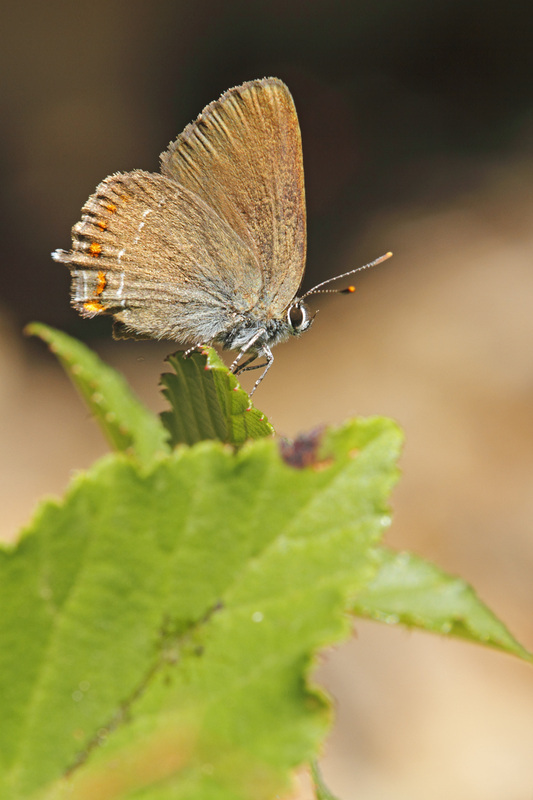 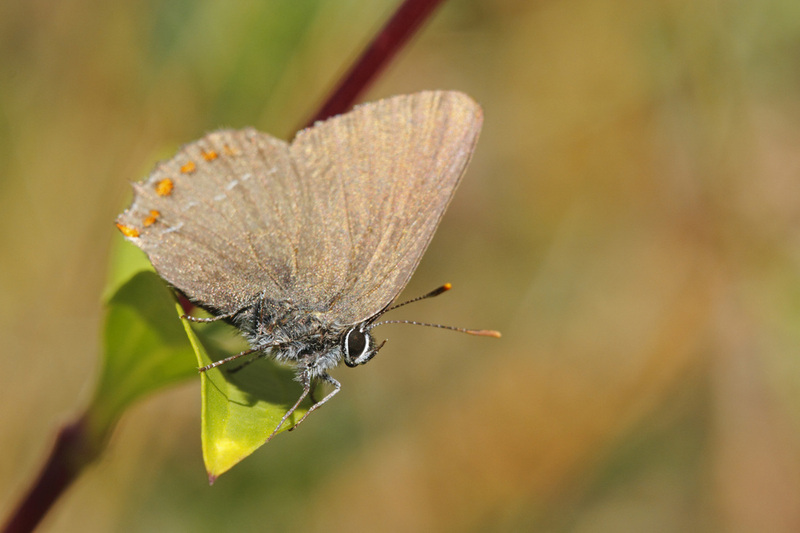 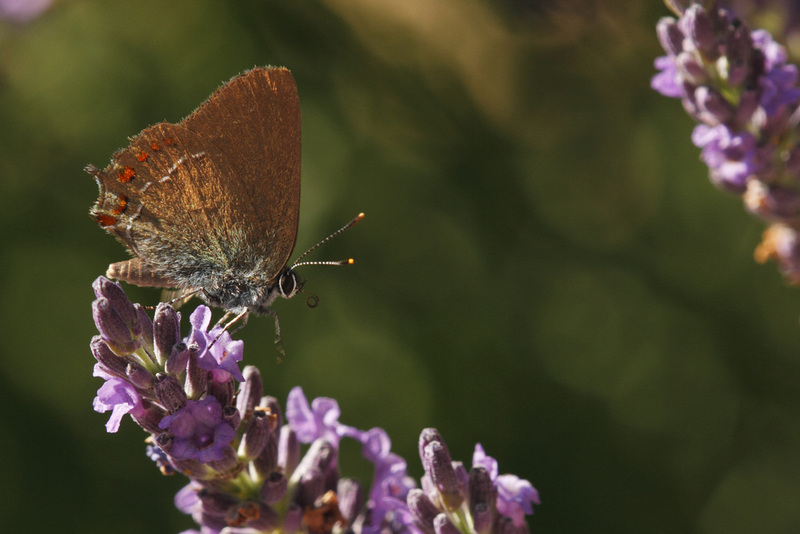 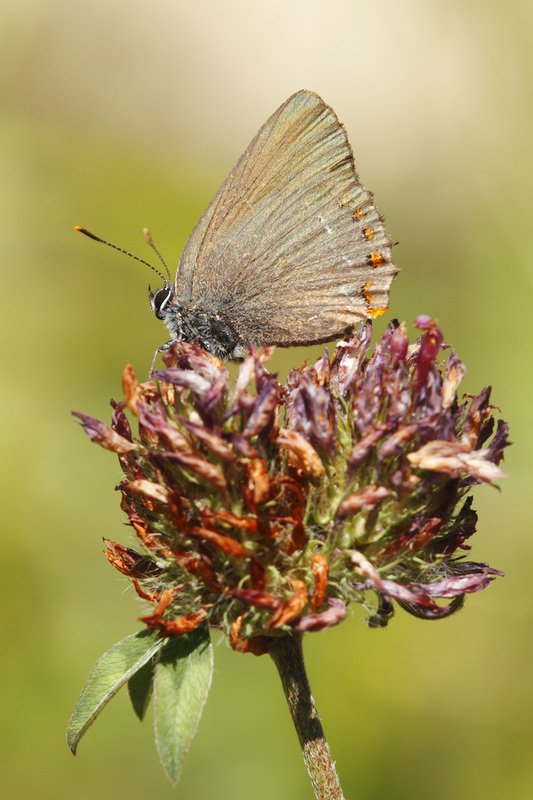 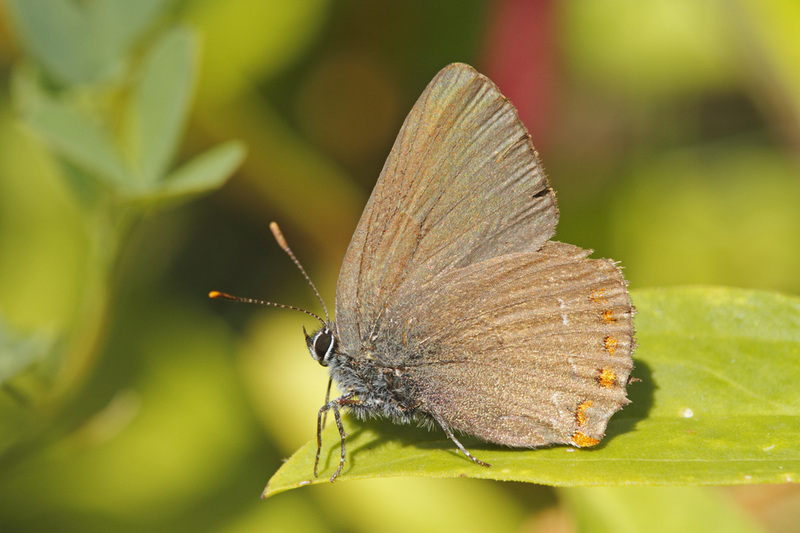 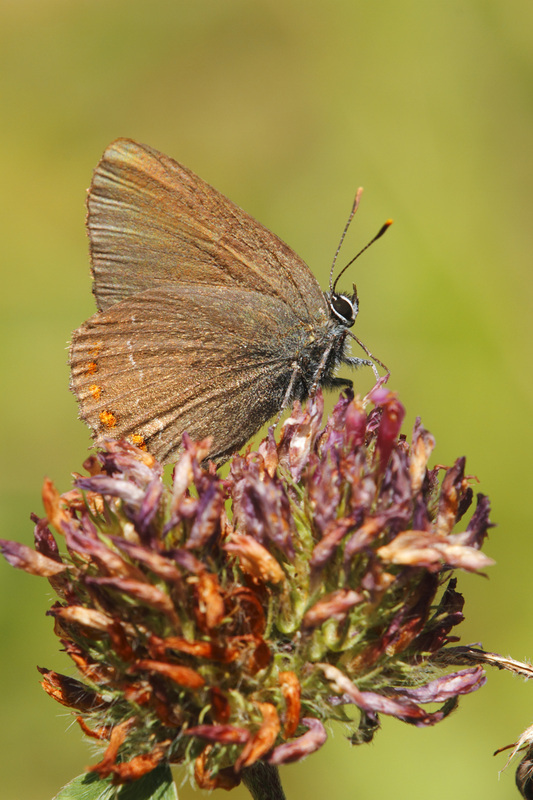 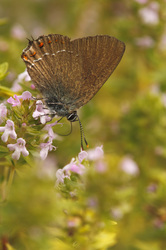 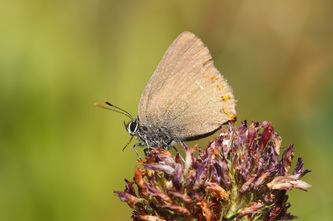 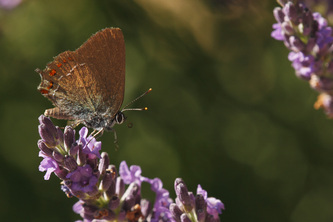 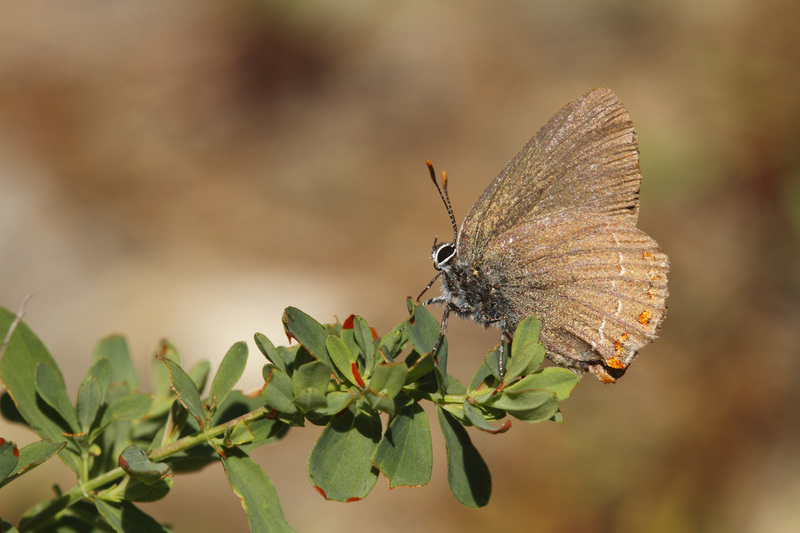 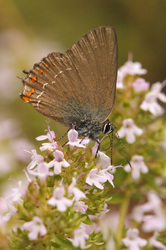 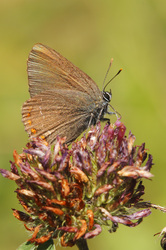 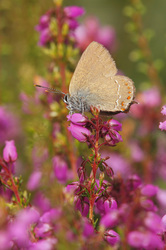 The uppersides, rarely seen at rest, are dull brown in both sexes. 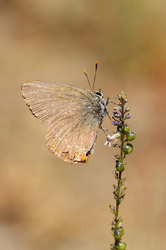 There is a small orange or ed spot near the tail on the hindwing. 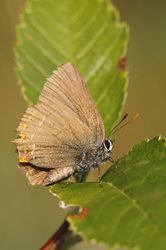 The undersides are light greyish brown, with a white streak across each wing and a submarginal band of bright red or orange spots on the hindwing. 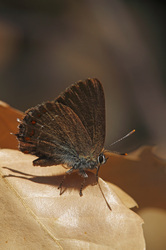 These spots are clearly separated and often have no more than faint black edging. Flight from June to August in stony, scrub-covered hillsides. 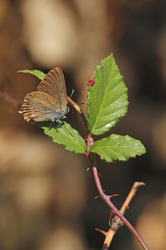 The larval foodplants are oaks, especially the low-growing species.